Siapo Cinema is honoured to present this compilation of 9 dance films, curated by Pacific Dance NZ and Pollywood. Sina, a young half-Samoan, half-Pākehā girl is split between her parents very different expectations of her, and her love of dance. The sound of a drum beat echoes across a calm sea. The waters ripple as a chant can be heard through the wind. It is a call to the Vaerua searching for its path as it longs to return home. The temptation of Eve, the divine fruit, the serpent who persuades her to give in to her desire; the well known story from Genesis in the Bible is depicted in this dance tribute. The story of the tune that has become synonymous with Rarotonga and romance. "Mou Piri" is the quintessential Rarotongan wedding song and has been performed from Auckland to London, thanks to home videos of dancers posted on YouTube. 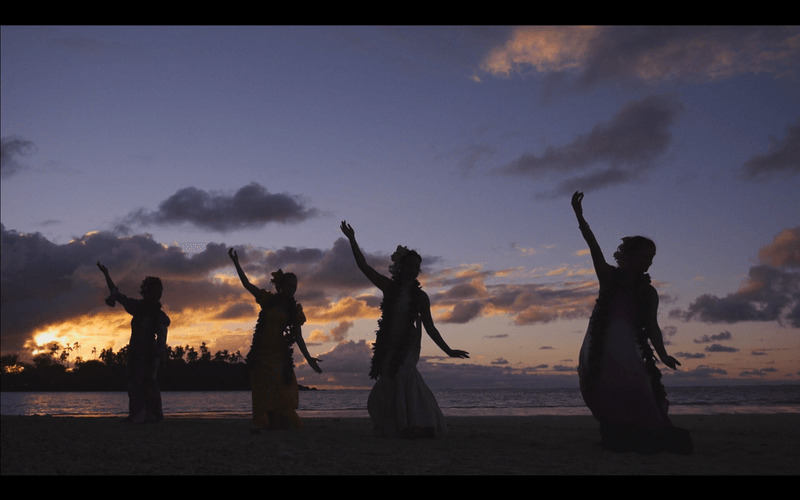 This short documentary traces the story of the song that has captured imaginations around the world and showcases the spectacular scenery of Rarotonga in an evocative music video set in a bygone era. From a series of films created by Julia Mage’au Gray as she explored the idea of ‘shifting the maiden’ from beach paradise to suburban East Auckland, bringing out representations of the lives of women from the area. Breaking out to apocalyptic tunes by Janelle Monae, Parris Goebel brings her multi-talented stylistic treatment of the song to the fore. A unique collaboration between deaf and hearing filmmakers. Tama is a young Māori boy who is deaf and who wants to perform the haka. On a near-fatal car trip, Tama has to confront his family. In his struggle, he begins to grown from an undervalued youth into a proud young man. Macklemore’s "Downtown" plays while the dance crew feels the groove. This dance video is for the pure fun of it.